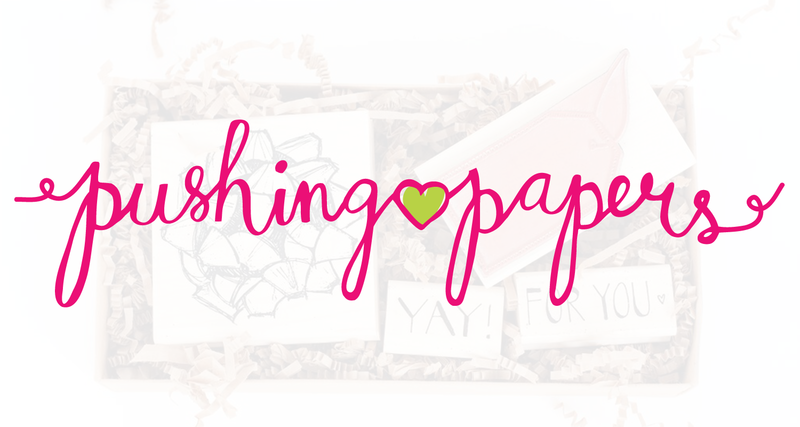 Pushing♥Papers is here for you, to provide paper lovers with the latest creations from new and established designers. Pushing♥Papers curates a unique collection of beautiful designers and are a destination for paper lovers, in search of original, stunning collections. Pushing♥Papers has introduced new designers’ collections and explore the world of letterpress. They’ve envision a world where paper is savored and celebrated, where true emotions and real words are shared with ink and where they all remember to never forget. Pushing♥Papers distinctive collection of letterpress notecards and greeting cards convey happy feelings, loving words, colorful florals. They bring to mind a relaxing vacation or a memorable dinner for two. There are loving hearts and birthday wishes; “Be Happy” bees and intricate calligraphy. All designed to stimulate your writing mood. Express yourself. Stroll through the shop and discover new designers, new combinations, and new inspiration.